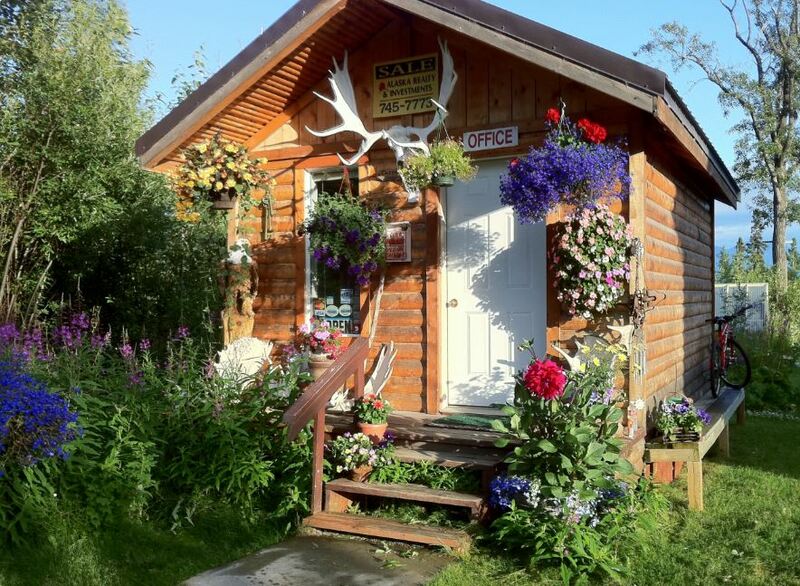 Alaska Creekside Cabins is located in between Palmer and Wasilla, this lodging in Alaska is in a very serene and peaceful setting, yet you are within minutes of all the major conveniences and attractions in the Valley. Exit airport onto International Airport Rd. Take a left onto Spenard Rd. Follow to traffic light at Minnesota Dr. Turn left onto Minnesota. Follow to 6th Ave. Take a right onto 6th Ave. & follow this straight through. 6th Ave. will turn into the Glenn Hwy/ Hwy 1. Stay on the Glenn Hwy approx. 35 mi. Follow sign for Hwy 3 / Wasilla to the Trunk Rd. exit. Bear right off exit onto Trunk Rd. & at round - about go straight, staying on Trunk . Follow to 2nd light & turn left onto Palmer/Wasilla Hwy. At next light turn right onto Stringfield - you will see gas station & 3 Bears grocery. Go to stop sign & turn left onto Bogard Rd. Go approx. 1.5- 2 mi and turn right onto Dolly Varden. Turn into 3rd driveway on left (Alaska Creekside Cabins sign @ bottom of drive). Please check into office @ top of drive. Take Parks Hwy to Palmer/Wasilla Hwy. Go 2 mi. to traffic light & turn left @ light onto Seward Meridian . Make a right @ light onto Bogard Rd. Follow Bogard to stop sign and make right. (This is still Bogard Rd. )Go approx. 1 mi. & make a left onto Dolly Varden Rd. Turn into 3rd drive on left (Alaska Creekside Cabins sign @ bottom of drive). Please check into office @ top of drive. Alaska Creekside Cabins is located approximately 45 Mi. North of Anchorage. Travel East on the Glenn Hwy (Hwy 1). 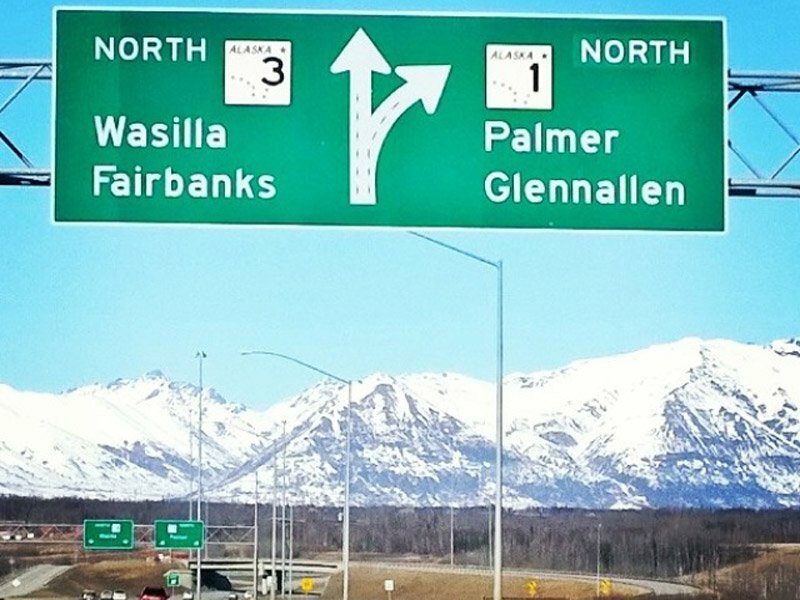 At intersection of Parks Hwy (Hwy 3) , follow sign to Wasilla & get off 1st exit, Trunk Rd. Bear right off exit onto Trunk Rd. & at round - about go straight, staying on Trunk . Follow to 2nd light & turn left onto Palmer/Wasilla Hwy. At next light turn right onto Stringfield - you'll see gas station & 3 Bears grocery. Go to stop sign & turn left onto Bogard Rd. Go approx. 1.5- 2 mi (just past storage units on right) and turn right onto Dolly Varden. Turn into 3rd driveway on left (Alaska Creekside Cabins sign @ bottom of drive). Please check into office at top of drive.